Once you have been fitted with your orthodontic appliance, it is important you take care of your teeth and braces to get the very best results from your treatment. We have the following products available to help you. After having your braces fitted, you will be given Oral health instructions. This kit contains a selection of the products that you will be shown during your instructions. Alcohol-free mouth wash is recommended by us for daily use to prevent tooth decay and white marks on your teeth. A specially designed brush effective for cleaning under wires, gum margins, interdental spaces and around fixed/bonded retainers. We stock a variety of brushes designed to use during treatment, including handy travel brushes. Disclosing tablets contain vegetable dyes that will stain plaque red. This makes it easier for you to see any areas where you may be missing and brush it off. We recommend using these at least once a week. When you are not wearing your removable braces or retainers for sports or eating, you can keep them safe in one of our boxes. Cleans and freshens removable braces. Retainer Brite is a highly effective cleaner that kills bacteria and prevents bad odour forming on your retainers. Sports injuries can cause breakages of your braces and possibly teeth. These preformed mouthguards are easy to use and do not need to be moulded to your teeth. Custom made mouthguards are also available upon request. Ealing Dental Specialists is an orthodontic practice where we have a professional team dedicated to providing friendly service and exceptional clinical care to patients. Our aim is to leave patients not only with beautiful straight teeth and perfect smiles, but also with happy memories of the time spent in our care. 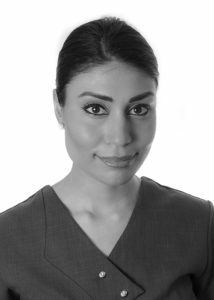 Sona’s specialist interests include adult orthodontics (having completed an MSc on adult orthodontics which was awarded two prizes and published) as well as treating patients with severe dentofacial deformity (orthognathic surgery) and with developmentally missing teeth (hypodontia). She has also developed skills in lingual orthodontics (Incognito) and in the use of invisible braces (Invisalign). She has also written numerous articles published in leading orthodontic journals. Sona is trained to specialist level and is registered with the General Dental Council as a specialist orthodontist. She has also completed additional training to consultant level and has spent some of her time as a locum consultant in NHS Hospitals. Sona uses a range of braces for adults and children. Her consultant training enables her to treat even the most challenging cases to a high standard. She uses the latest techniques and equipment to ensure each patient receives the best treatment possible. 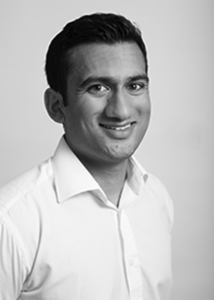 Jeet is a qualified specialist in orthodontics – the field in dentistry that primarily deals with irregularities in the teeth and jaws, and has exclusively worked in orthodontics since 2014. He joined our team in 2017 and currently provides aesthetic ceramic braces and Invisalign treatment. He has a keen interest in functional appliances and growth modification. He qualified as a dentist in 2011 and has gained experience in a variety jobs within dentistry, including oral and maxillofacial surgery at University College Hospital. He has won several awards for his work – including the Jim Moss research award and placing third at the UTG-a national competition for trainee orthodontist. Arti qualified in Dental surgery in 2001 from The University of Wales College of Medicine and completed her specialist training at Guy’s, King’s and St Thomas’s Hospital’s in London trust completing in 2011 having obtained a Master of science in Orthodontics and subsequently her Membership in Orthodontics from the Royal College of Surgeons. During her training she has treated many complex cases, adult and child patients and multidisciplinary cases using a range of orthodontic appliances and techniques. 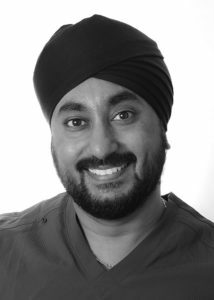 Arti has undertaken further training and is certified in the use of aesthetic braces involving the Incognito lingual appliance, Invisalign braces (clear aligners), tooth coloured fixed braces and Damon appliance (self ligating braces). Sarb qualified in Dentistry from the University of London and later undertook his specialist training at the Eastman Dental Institute. Sarb has a keen interest in voluntary dentistry and has performed charitable work in a number of regions in India. Sarb provides the latest Invisible brace systems, including Lingual braces (Incognito) and Clear aligners (Invisalign), and low friction brace options such as Damon Clear and 6-month smile braces. He is also certified in the use of Micro-screws for additional support when teeth have been previously moved or suffered from gum disease. Roopa qualified in Dentistry from the University of Manchester and was awarded the Edgar Houghton Prize for excellence in operative dentistry. She later undertook her specialist orthodontic training at the Royal London Hospital where she undertook her Masters in Clinical Dentistry in Orthodontics. She was awarded an Honorary Lectureship at the Royal College of Surgeons, England and is now an Examiner for the MJDF Royal College Examinations. Roopa sits on the board of the Federation, is a member of the Local Dental Committee and the North West Liaison Group. Roopa has authored scientific papers and has presented lectures at National and International specialist conferences. She is also a mentor to specialist orthodontists and orthodontic therapists. 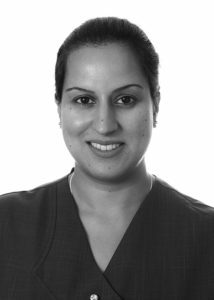 Roopa has had vast experience in treating a range of cases including the latest clear braces such as lingual braces and Invisalign. Roopa has a keen interest in supporting the community and actively supports children education via charitable projects both here and abroad.